Happy Friday! I'm so glad that you stopped by. 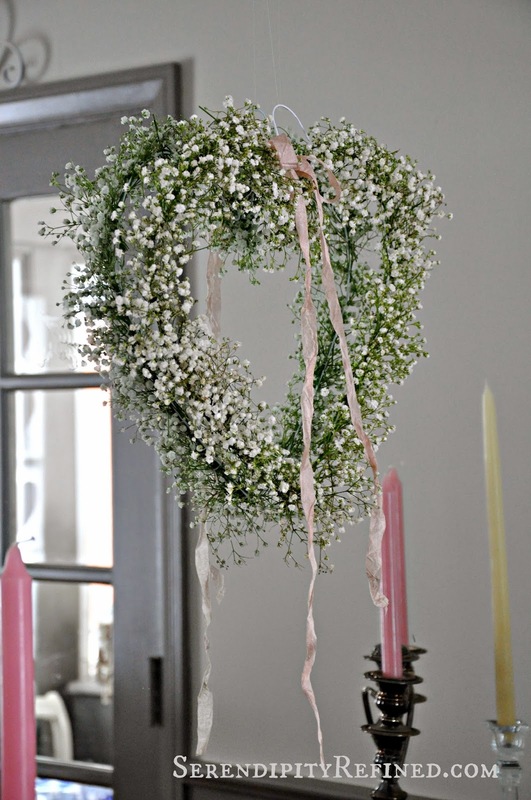 Today I'm sharing a tutorial for how to make a super simple, heart shaped Valentine's Day wreath using $6 worth of baby's breath flowers that I got at the grocery store, a little waxed twine and a white wire coat hanger. That's it. Easy. 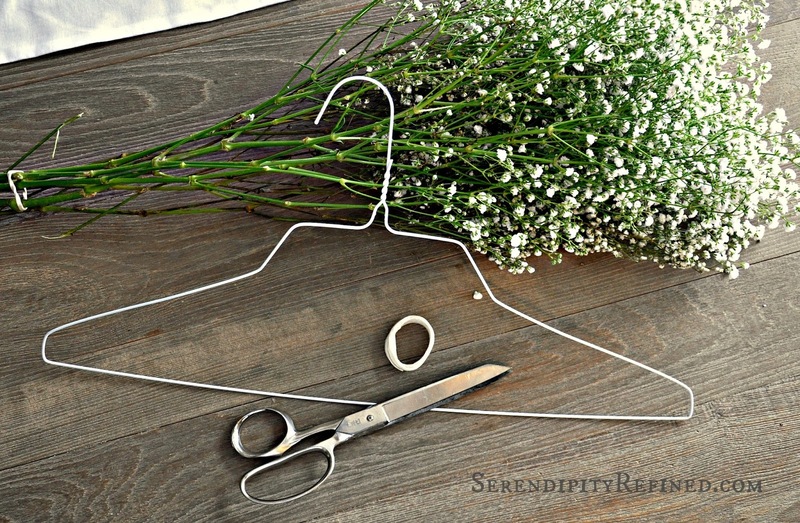 I've come to love projects that take less than an hour and cost under $10...don't you?! I find this especially important as I'm spending more time working to finalize the details of Phase 2 of the renovation of my French Farmhouse Project. Earlier this week, I met with our architect and a builder who specializes this type of project. This afternoon, I'm meeting with a representative of the Community Development Board from my village to discuss the conceptual plans and the potential for a variance from the setback code which would allow me to position the garages so that the center line of the garage opening will line up with the front door. That probably sounds like a bunch of mumbo-jumbo but what it actually means is that I need permission to build one of the garages five feet more "north" on the lot than what the current building code allows. Without that permission, the garages and the stable (bedrooms) portion of the house move "south" on the lot, the center line of the house don't line up with the garages, and the the courtyard becomes asymmetric...which means that it really isn't a courtyard at all. ....At least not in my vision for this project. So, I'm hopeful that this afternoon, the board representative and I can find a way to make this work; either by pursuing a variance or by his knowledge of the code being far greater than that of anyone that I've spoken to thus far. If not, it will be back to the drawing board for "PLAN G"...no kidding, we're currently on the sixth set of revisions and we haven't even broken ground! I'm hoping to be able to share some final drawings and a time line of Phase 2 soon. 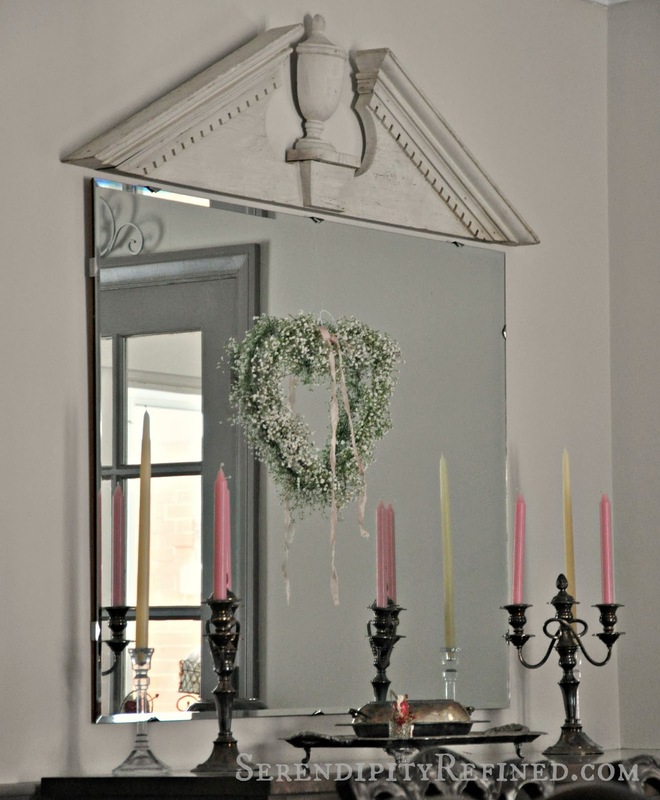 In the mean time, I'm keeping my decorating simple...you know....to allow for the potential that I might be tearing out a wall (or two) in the near future...if it ever warms up! 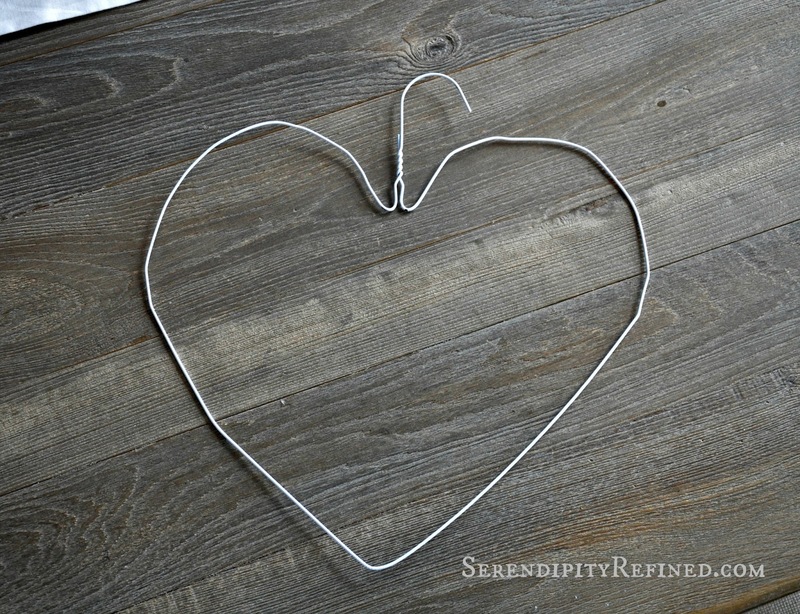 Bend a wire hanger into the shape of a heart. 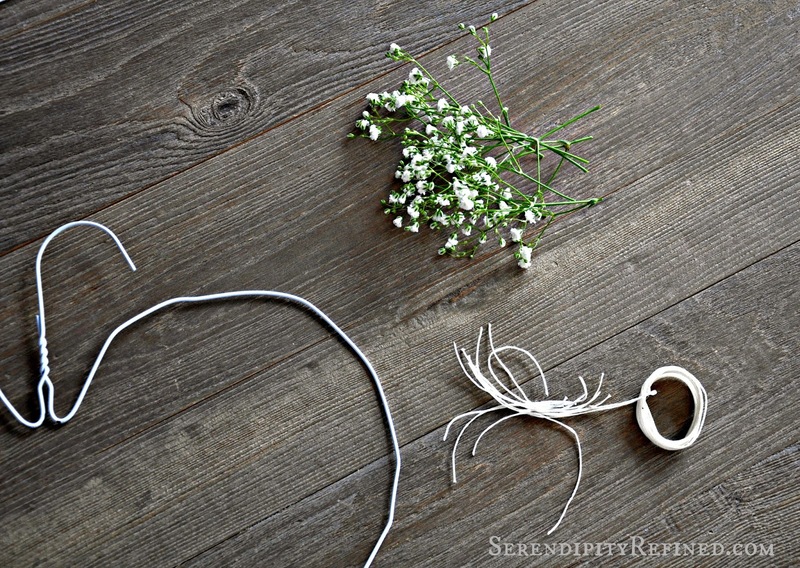 Cut waxed twine (found in the jewelry making section of the craft store) into 3 inch pieces. 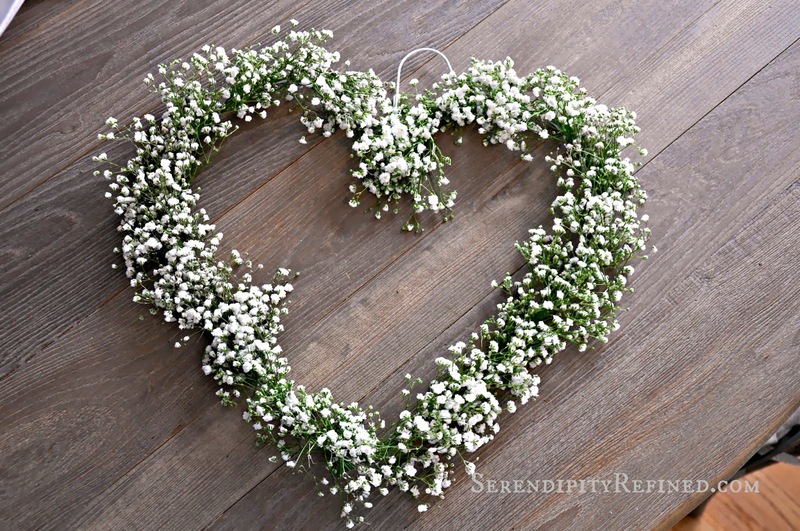 Cut baby's breath into 2 1/2 to 3 inch pieces. 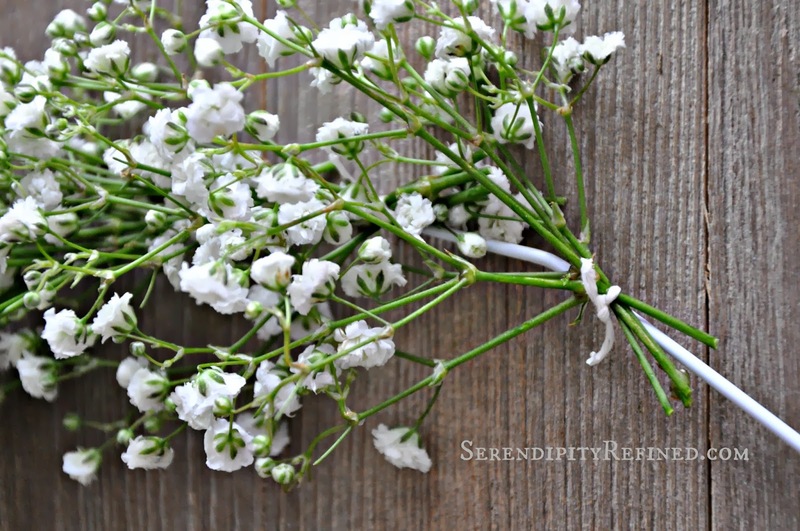 Gather three or four pieces of baby's breath into a bunch, tie it to the hanger using a double knot and waxed twine. 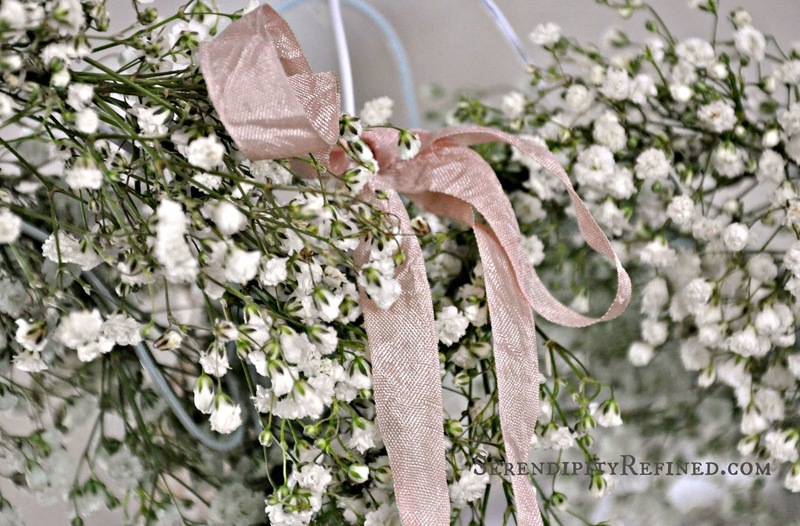 Continue around the heart, working from the top down on both sides and overlapping the bunches so that each new bunch covers the stems and knot from the prior bunch. 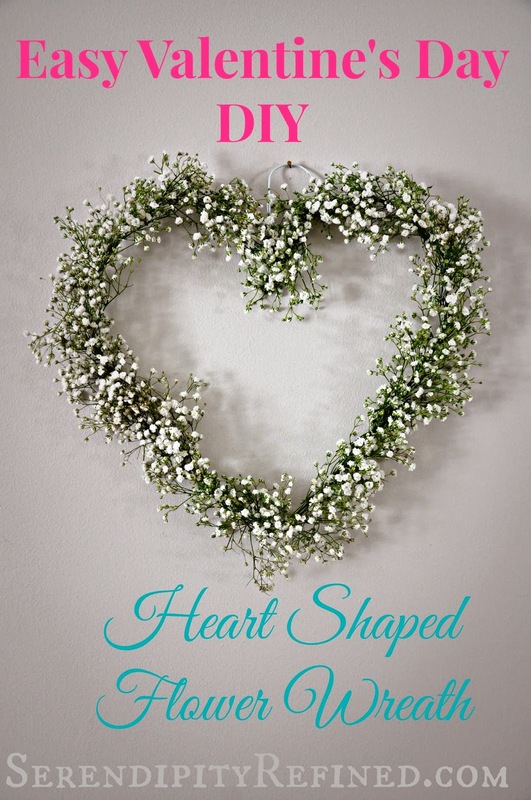 As always, if you make heart shaped baby's breath (or lavender) wreath of your own using these directions, I'd love to see it! Wish me luck this afternoon...and have a great weekend!